You are amazing. I am so sorry that Fig Newtons gave you a bad rap, and I will do everything I can to restore your reputation. 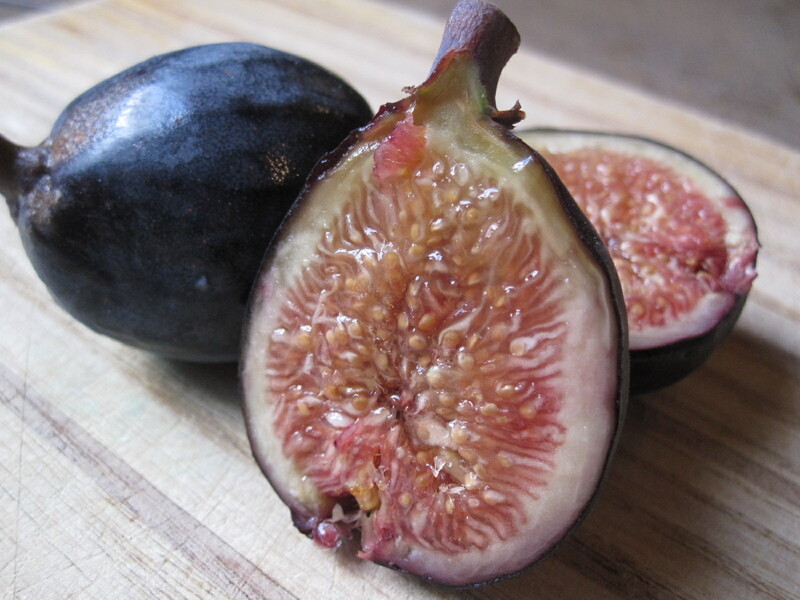 I realize that you may question my sanity for writing a letter to figs, but I can assure you that I am slightly off. However, I have a very good reason: fig and prosciutto salad. I made this about two weeks ago for a family dinner. Through I learned more about cooking than I probably realize from my parents, this was kind of a hard sell – until they tried it. In a small bowl, whisk together the vinegar, mustard, pepper, and salt to taste. In a slow stream, whisk in the oil until emulsified. Toss arugula with the vinaigrette and mound in center of each of 6 plates. Wash the figs, and trim the tough stem ends. Cut each fig into 8 wedges. Cut the prosciutto into strips, about ¼ to ½ inch wide. Arrange the prosciutto pieces and figs on the salad. With a vegetable peeler, shave thin slices from the Parmigiano, and add to the top of the salad. Eat.